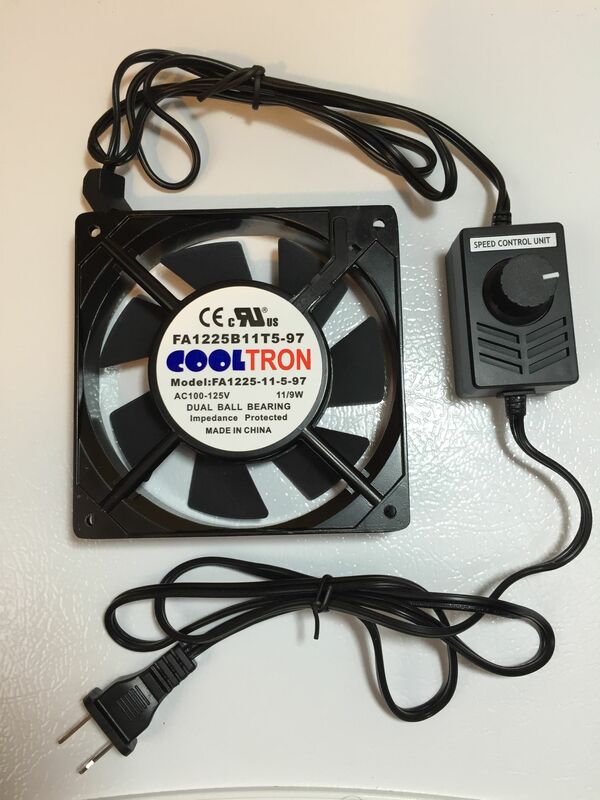 Fan with included AC Wiring and Variable Speed Control. 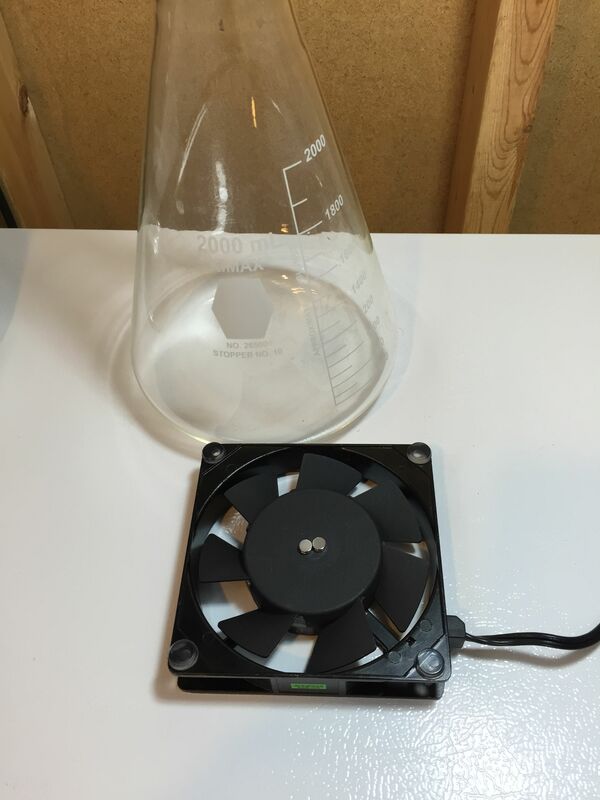 I picked this cooling fan up primarily to put together a Stir Plate design that works with it. I chose this model because… 1. It’s a good size (4.7″ square), 2. Is already wired for AC and, 3. Includes a variable speed function. 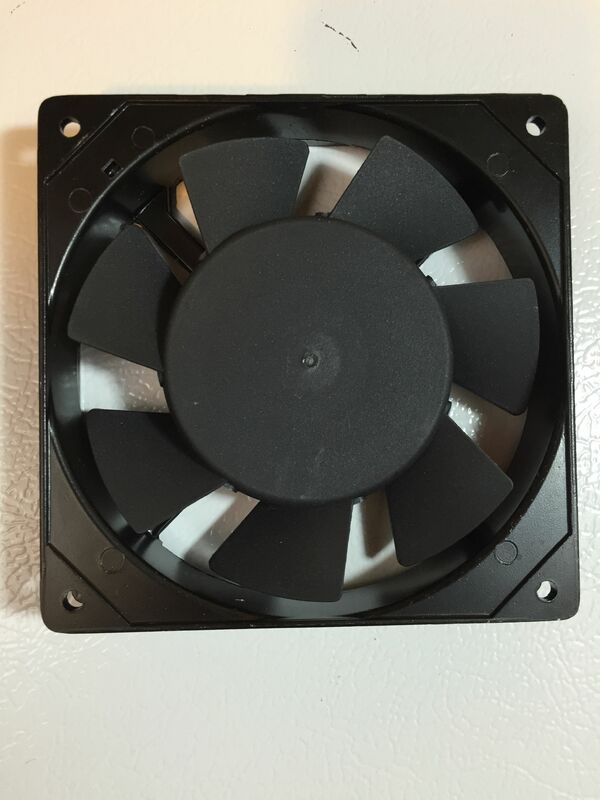 Back of the fan. This side actually rotates. If you were looking to put together a stir plate, this is the side you’d put the magnet on. 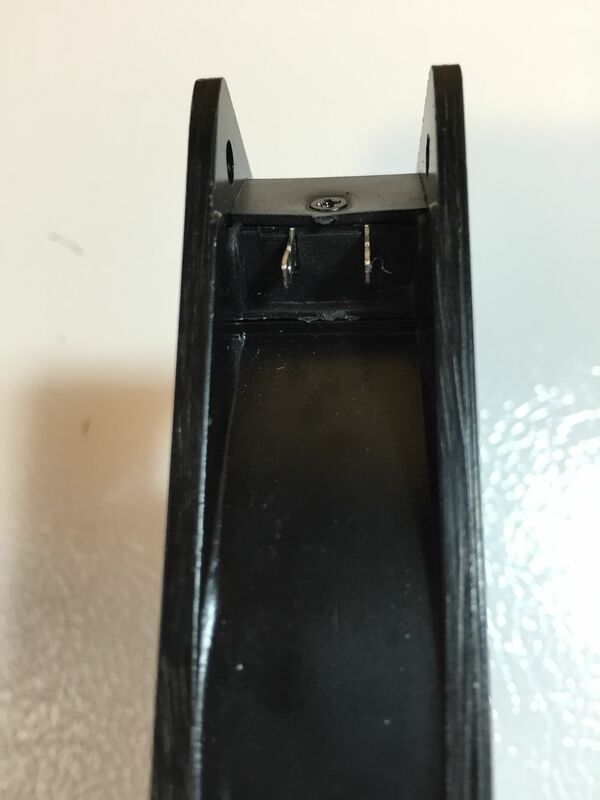 Here’s where the AC wire plugs in. 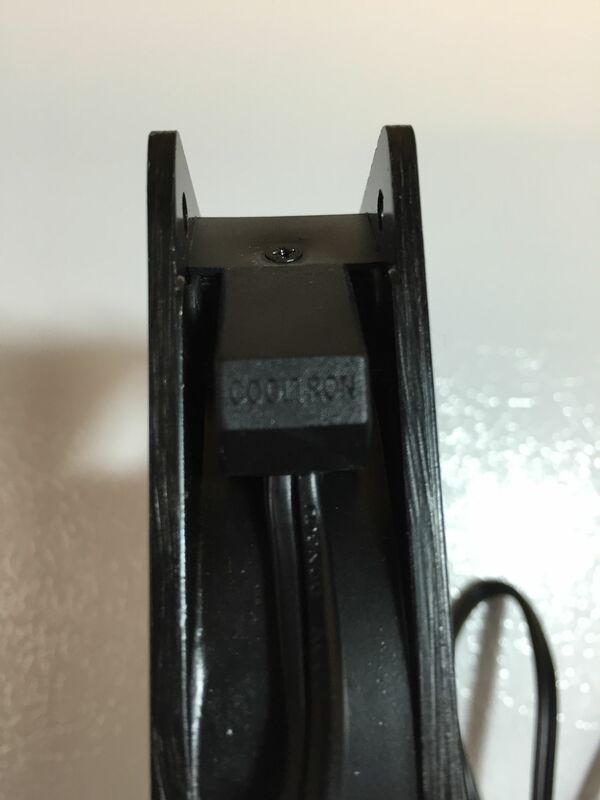 This shows the AC wire plugged in. 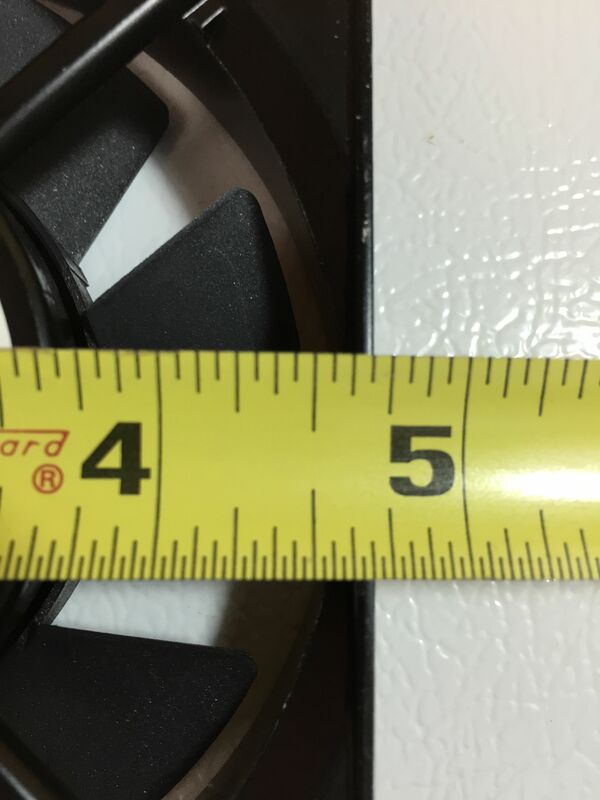 The specs say this is 4.7″ square. From side to side, I get 4 11/16″. As you’ll see it’s large enough to hold a 5 Liter Erlenmeyer. For size reference, with a 2L Erlenmeyer in the background. With a 2L Erlenmeyer on Top. This thing is all but begging to become a stir plate. 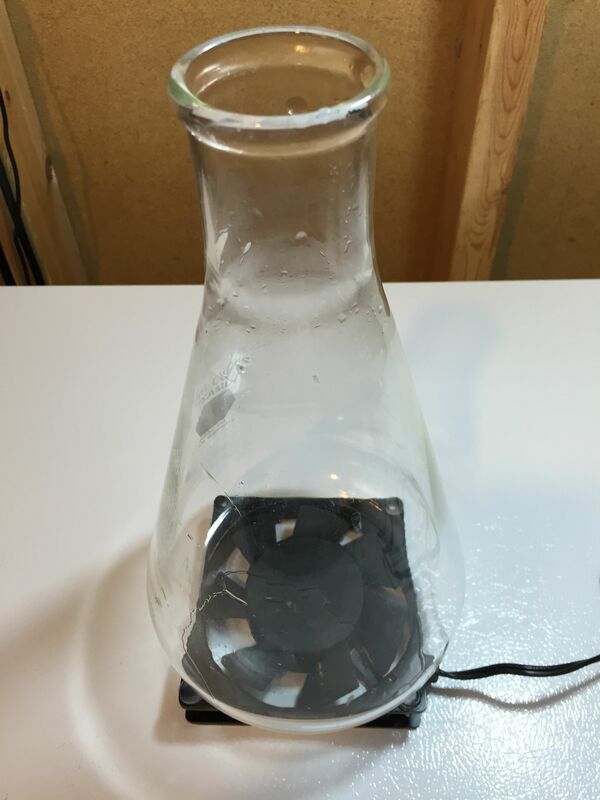 I put four of these rubber bumpers in the four corners (to hold the erlenmeyer in place and give it a little bit of clearance) and then put four magnets in the center. Those just stuck on there with magnetic force and they ended up deciding to stack themselves two high. It’s kind of hard to tell with this photo, but this is a 5L Erlenmeyer Flask with 2L of water with a vortex using that setup. I’m not suggesting this as a final design. 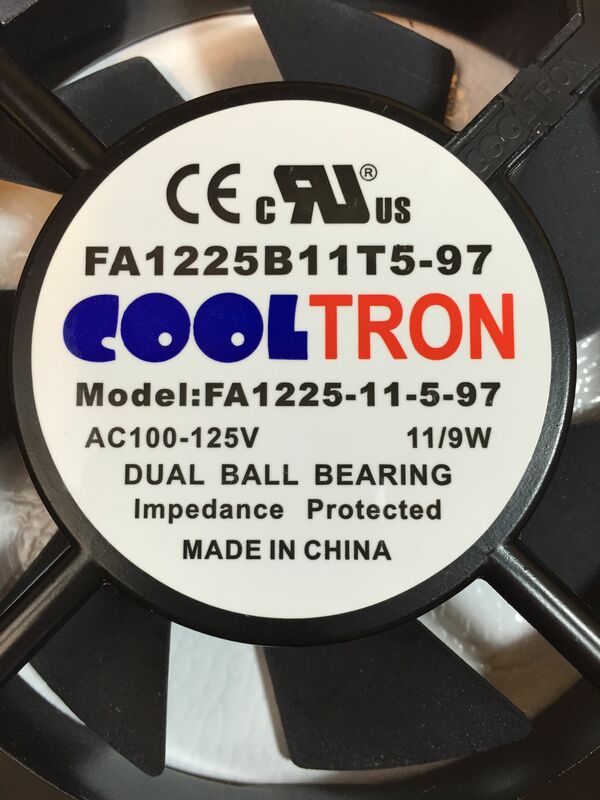 I’m only that this fan is a great candidate for conversion. 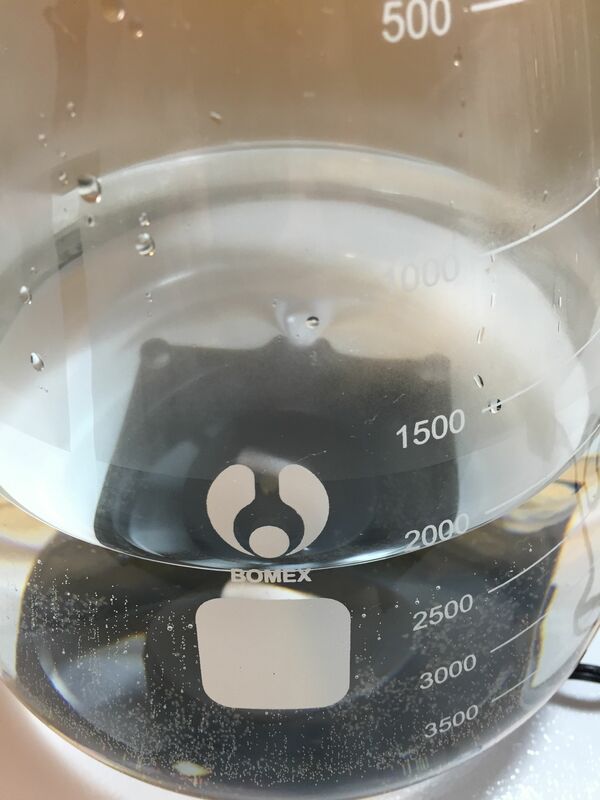 This entry was posted in Amazon, Draft, Featured Reviews, Fermentation, HBF Tested, Projects, Reviews, Reviews & Top Posts, Stir Plates on January 16, 2015 by admin. Do you have any suggestions for an enclosure for a more permanent setup for these parts?